People who are busy, who need physical help, or who simply want to pay for expertise are perfect candidates for the Christmas lights professional. 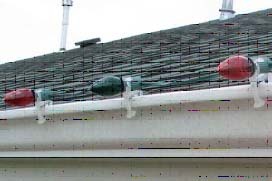 A Christmas lights professional can hang Xmas lights efficiently and safely. 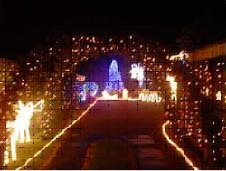 Although costly, the Christmas lights professional takes care of design, measurement, installation, and take down. Some people face sticker shock because they don’t know how much it costs. They don’t realize how labor intensive it is. The most important job of the Christmas lights professional is to make sure all stays safe. Their job is focused on using proper caps, terminators and measuring wattage to not over burden a line. They won’t use wire nuts, black tape, or cheap lights that will melt. The Christmas lights professional can take down and discard the lights at the end of the season or take down and leave the lights for you to store in the off-season and then pay only for installation in subsequent years. Education is key when hanging outdoor lights and there are a few important steps to follow to make sure the Xmas lights are hung the right way. First, determine the number of hanging outdoor lights that are needed. Second, locate power sources to be used for hanging outdoor lights. Third, calculate the number of watts that can run on each circuit. Fourth, visually inspect the Xmas lights including wires, and bulbs. Replace any broken or missing bulbs on the hanging outdoor lights. If the wires are faulty, replace the strings. Fifth, test the Xmas lights prior to hanging outdoor lights. A few tools can make a Christmas lights repair more efficient and safe. There are a few devices on the market to locate bad mini bulbs on a set without first removing it. 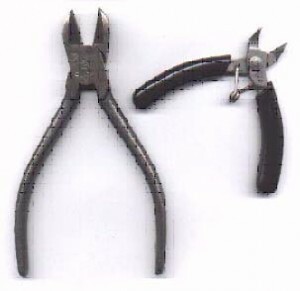 These tools can make a Christmas lights repair by locating a Xmas light “hum” through the use of an audible continuity detector. They also have a fuse and bulb tester and a bulb puller. Some Christmas lights repair tools feature a head light with LED beam to illuminate the working area. Christmas lights repair tools save time and money by locating bad bulbs, sockets, and wire without checking the entire strand.